Claire is exhausted. She was a show ferret this morning for a group of kids for my local humane society, who are doing this kickass summer camp thing where they learn about how to take care of animals and all about shelters and stuff. 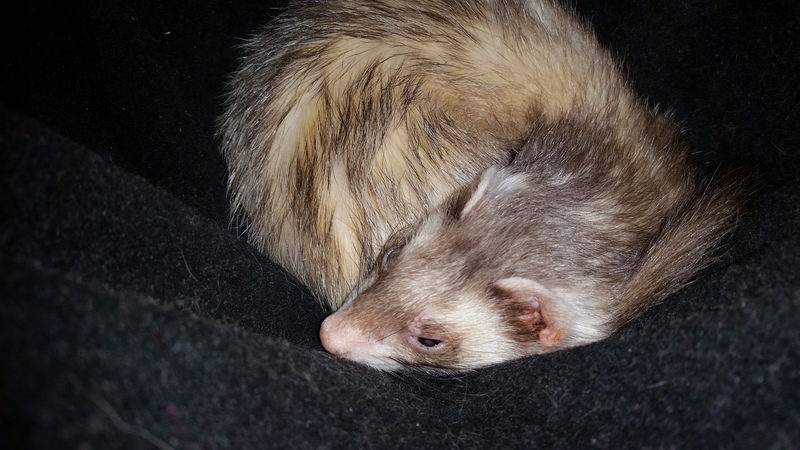 After a week of cats and dogs they get a primer on other animals from specific rescue groups, and I volunteered to be Ferret Rep, which I am now petitioning Obama to make an actual cabinet position.